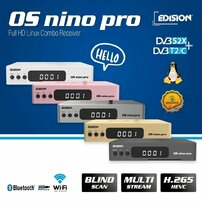 OS NINO PRO Combo White is the new member in the E2 LINUX series receivers from EDISION. It combines all the updated technical features to provide you with enjoyable use of all its advanced specifications, in an incredibly small size! 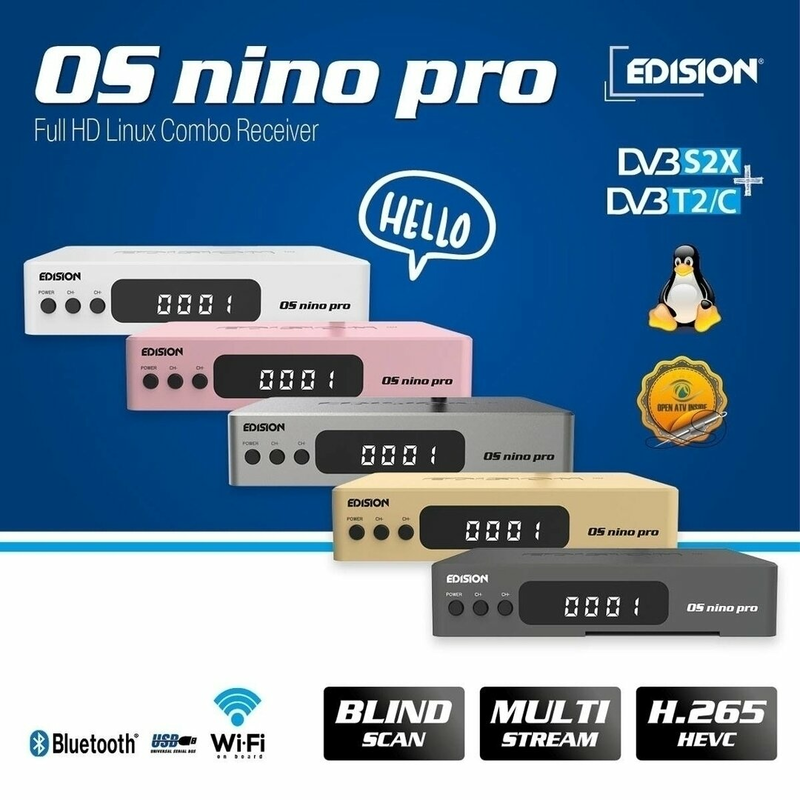 The OS NINO DVB-S2 + DVB-T2/C Hybrid E2 LINUX combo Full High Definition receiver, is the new member in the E2 LINUX series receivers from EDISION. 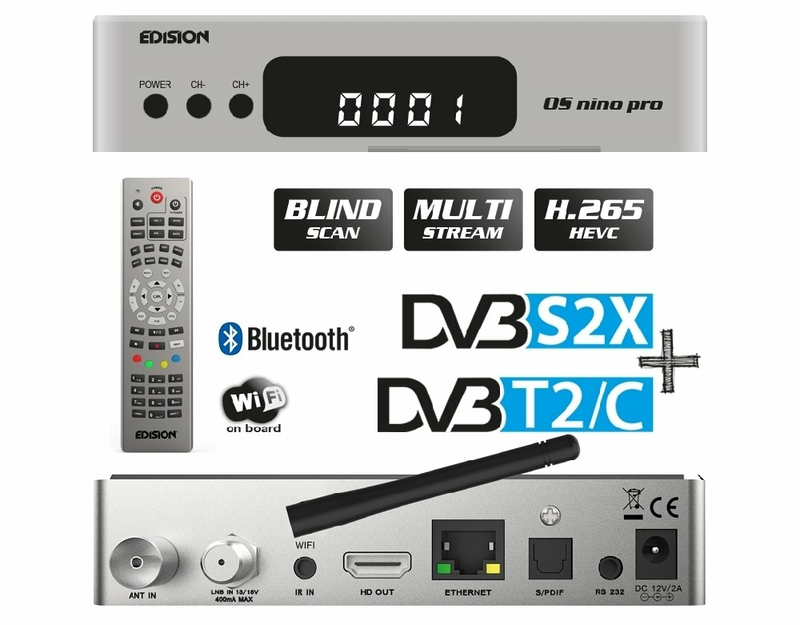 It combines all the updated technical features to provide you with enjoyable use of all its advanced specifications, in an incredibly compact size!. Some of its features include: E2 Linux operational system, BROADCOM MIPS Dual Core @ 742MHz processor, 512MB SLC NAND Flash / 512MB DDR3 memory, WiFi & Bluetooth on Board, Full Media Player along with the ergonomical and multifunctional IR remote control UNIVERSAL 1! All these, plus the all-around EDISION quality and support included!